★★★★★ The watch looks nice and elegant, and keeps its time well. I bought this watch for my father, who is very fond of it and wears it every day, as happy as a child. 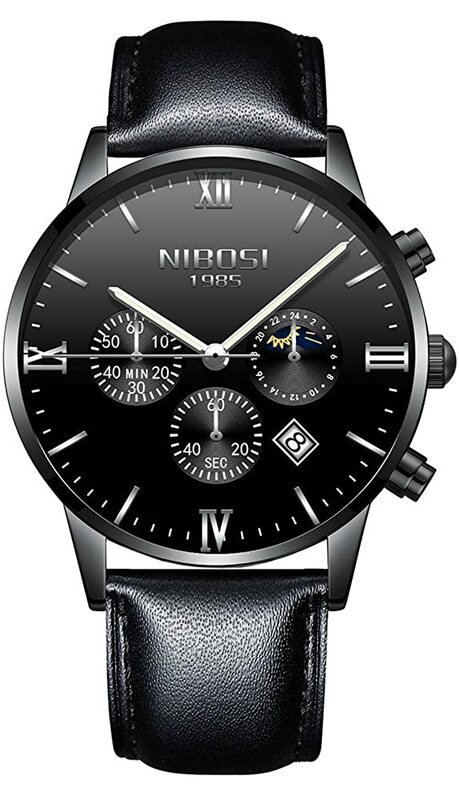 so I would recommend this watch to anyone, and it would make a fantastic gift. ★★★★★ Absolutely beautiful watch. I bought a black color one last week for my dad. The strap is very good quality leather, It is high quality watch and band. I cannot wait to give it to my dad. I took picture showed him it and he is very happy for the product. This watch met all my expectations and more. I would highly recommend this watch.